Apple isn't just the trillion-dollar tech company that has built its wealth on functional obsolescence, cheap overseas labor, and deification of its late founder: It also wants to compete with Netflix! Yes, the brand that doubles as a status symbol so many iPhone users cherish deeply invested $1 billion -- basically the amount of Senegal's Strategic Investment Fund -- in original content during 2018, with a projected total of $4.2 billion by 2022. It's still nowhere near Netflix's projected $15 billion 2019 spending spree, but still, a billion is a serious number. Just ask the cast of Showtime's Billions, which you'll be able to stream on the new Apple TV app. But what does that mean for you, the average consumer of content? Lots of new shows available on Apple TV Plus, the brand-new streaming service the company announced at its March 2019 live event. This service is coming sometime in the fall of 2019 and will be available across "every screen in your life," which Apple executives insist is a good thing. It's a subscription, ad-free platform that you can access in more than 100 countries, though conspicuously absent from the list of available services (which includes cable channels, HBO, Starz, and more) on the new app is Netflix, which opted out of the bundle. The streaming wars are heating up! Here's everything we know about Apple's original programming slate, including shows that have already appeared and series that have yet to make their way to the public. It's a reboot, sure, but they could've maybe revamped the title of this Steven Spielberg-created anthology series a bit for an era crowded with streaming options. It's just not good enough to claim these stories will truly be "amazing," though there may indeed be some pretty good tales spun over the course of a 10-episode season of sci-fi fun. According to Apple's March 2019 event, they have to be the "best stories ever told." Spielberg himself showed up to the event to help announce the new Apple Plus streaming app, and he let slip that at least one episode of Amazing Stories will feature a World War 2 pilot. Cool. The entire season, Spielberg promised, will be connected through a single thematic thread -- likely the thread of "amazingness." Hopefully not, because there's still a lot of content to consume. This is a show based on a novel about people obsessed with true-crime podcasts. So. Pick through those layers of meta-media insanity during a bout of insomnia. It's already got plenty of big-name actors on board, including Academy Award winner Octavia Spencer, Breaking Bad's Aaron Paul, and Lizzy Caplan playing twins. The popular bit from The Late Late Show With James Corden is much more than the latest late-night spinoff hungry for eyeballs; it's an EMMY-WINNING TV SHOW that happens to be a late-night spinoff hungry for eyeballs. Four series in and we have yet to hit our first original IP, with Calls originating in France at Canal+ under the direction of Timothée Hochet. Apple's ordered up 10 episodes of this mostly audio horror-esque series, which is not a podcast, so don't call it one! Ah, something original, at last! Don't get used to it. This animated musical comedy (yep, you read that right) from Bob's Burgers creator Loren Bouchard already has the green light for two seasons. Hopefully you like musical comedy, Josh Gad (one of the voices), and puns. Also attached are Kristen Bell, Stanley Tucci, Titus Burgess, Kathryn Hahn, Leslie Odom, Jr., and Daveed Diggs. Back to the old IP. This limited series stars Captain America himself (Chris Evans) in an adaptation of William Landay's crime novel of the same name. Michelle Dockery and Jaeden Martell are set to co-star for the eight-episode run. America's favorite reclusive poet, who almost certainly suffered from some kind of mental illness, will receive the quirky comedy treatment in a series which casts Hailee Steinfeld -- of True Grit and, uh, pop music fame -- as Emily Dickinson, and Jane Krakowski as Emily's mother. Expect lots of white dresses and creative license in interpreting the story of a genius who published almost nothing during her lifetime and barely left her house for the last three decades of her life. What if the space race had never ended? That's the premise of Battlestar Galactica creator Ronald D. Moore's new Apple Plus series, which will star Joel Kinnaman as Edward Baldwin (hmmm, sounds like Edwin "Buzz" Aldrin? ), Michael Dorman, Sarah Jones, and Shantel VanSanten. Apple snagged the rights to this series based on an Isaac Asimov short story trilogy of the same name, which means Apple TV Plus is placing some big bets on sci-fi. Everyone calls the original narrative "sprawling," so co-writers David S. Goyer and Josh Friedman (both of whom are also working on the upcoming Terminator series) should have their work cut out for them. Kids programming will also come to Apple thanks to Sesame Workshop, but not Sesame Street itself. Just Sesame-adjacent content, in this case a show called Helpsters -- they're monsters who help people! These "helpsters" will "help" prepare preschoolers for a lifetime of tech servitude by "teaching them to code" at an early age. Probably more useful than making macaroni art, but do we really want 4-year-olds to become content-producing members of our technocapitalist society? According to Apple, yes, we do! How else will the company dominate the world? Ten episodes of World's Most Extraordinary Homes, but on Apple instead of Netflix. Kumail Nanjiani and Emily V. Gordon, The Big Sick co-writers and co-authors of a life in love (hahahahaha they're married), created this anthology series about immigrants in America. Nanjiani told the crowd at March's Apple event that this show will tell human stories about immigrants, which could mean just about anything. Hopefully there will be fewer medical disasters than in The Big Sick, because our country is not exactly known for its kind treatment of immigrants with medical disasters. Do not pitch anything "big" to Apple. In an cruelly ironic twist, this J.J. Abrams-produced musical dramedy, with songs by Sara Bareilles, is set in the Big Apple and is described as “a love letter to the diverse musicality of New York” and an exploration of “the universal journey of finding your authentic voice in your early 20s.” Oh no. That big New York Times story about how we're all fucked because huge companies ignored climate science in favor of profits and partisan politics has already been scooped up by Apple for development into a series. This is inspired by Hilde Lysiak, the 12-year-old girl who publishes her own newspaper in Pennsylvania and got the scoop on a murder case. She's helped by her father, a former New York Daily News reporter. You can try to make this stuff up, but it's not recommended. The Florida Project's precocious star Brooklynn Prince will portray Lysiak; she'll be supported by Jim Sturgess, Abby Miller, and Louis Herthum. When this Reese Witherspoon and Jennifer Aniston project was still seeking a title, we suggested Morning Shade, which seems like it took three seconds to come up with instead of the millisecond it took to come up with The Morning Show. That's why we're sitting behind the screen and not developing original shows for Apple. According to Witherspoon and Aniston's presentation at the March 2019 Apple event, The Morning Show will look at gender dynamics in the high-octane world of... morning shows. It's about a morning show. Steve Carrell joins Witherspoon and Aniston as co-star, and the series has already replaced two showrunners. Good start! Any time you can use a W.B. Yeats line as the title of your television show, YOU DO IT. Jennifer Garner will star as a woman waiting for her second heart transplant -- she makes it through thanks to (you guessed it) her friends. This one is based on the memoir of the same name, and will have J.J. Abrams as executive producer. 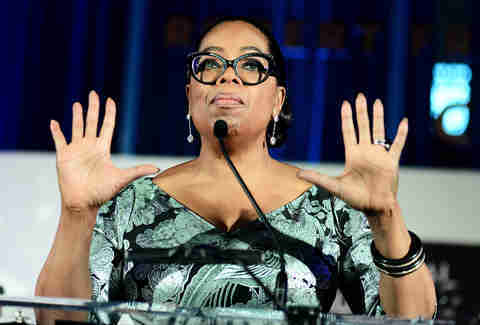 Apple decided to dump an unspecified amount of money in Oprah's lap to create an unspecified amount of original content for an unspecified number of years. Must be nice! We now know, thanks to Oprah's headlining performance at the Apple concert, that she'll be making two documentaries: one about sexual assault in the workplace, and one about mental health. Perhaps the biggest announcement, however, was that Oprah's popular and influential book club will live-stream on Apple platforms, creating the most "stimulating" book club in history. Someone find out what James Frey is up to! An adaptation of Min Jin Lee's bestselling novel of the same name, this might qualify as an early frontrunner for Apple TV's least insufferable show. Yep, as in Charlie Brown and Snoopy. Apple has signed a deal to produce all manner of new Peanuts programs, but the first one will focus on STEM education. Between this and the coding Sesame Street, it's pretty easy to gather what Apple wants for the next generation. Do you get it? It's a pun on the movie about an advanced simian civilization that has taken over an Earth destroyed by humans. This one is more like Shark Tank, though, but for apps, and it's already available on Apple Music. Hosts are verified app experts Jessica Alba, Gwyneth Paltrow, Will.i.am and Gary Vaynerchuk. Former NBA MVP and Golden State Warriors forward Kevin Durant has long had an interest in diversifying his portfolio with tech investments and his very own media company. This series is based on Durant's early life and will allegedly explore the world of AAU basketball, which if done honestly could lead to a pretty sordid and fun show! We'll see what Ron Howard and Brian Grazer's Imagine Television production company can come up with. There are already character descriptions in a casting call for young actors, and spoiler alert: These kids MUST HAVE INNATE ATHLETIC ABILITY. There's going to be lots of basketball in Swagger, in other words. American Hustle writer Eric Warren Singer will write and executive produce this adaptation of Gregory David Robert's novel of the same name. Hopefully it's more coherent than American Hustle. What if in the future... EVERYONE WERE BORN BLIND? That's the tantalizing question See (for real) asks in a series written by Peaky Blinders creator Steven Knight and The Hunger Games: Catching Fire and Mockingjay Parts 1 & 2 director Francis Lawrence. 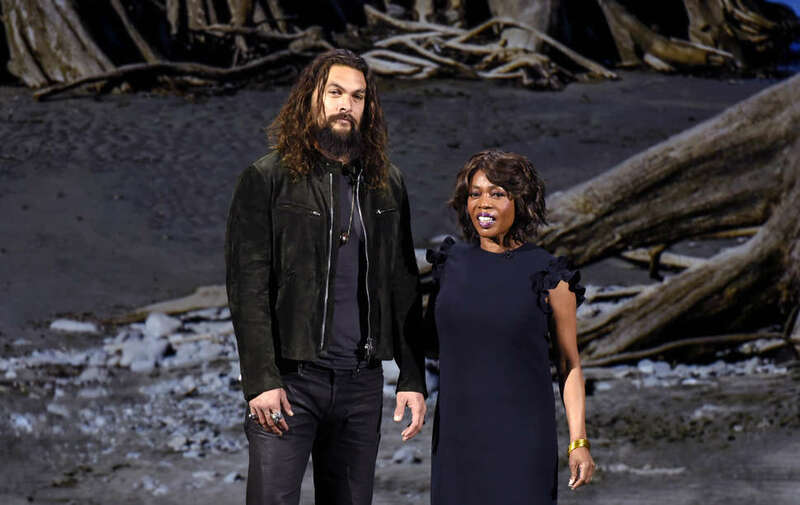 Aquaman Jason Momoa will star with Alfre Woodard, so it's probably worth an exploratory watch. Terry Gilliam's classic 1980 film will receive the series treatment, which reportedly will be directed by Taika Waititi, of What We Do in the Shadows and Thor: Ragnarok fame. Captain Marvel enters the realm of human political struggle, adapting the Amaryllis Fox memoir Life Undercover: Coming of Age in the CIA. This half-hour series hit a snag when Kristen Wiig backed out, but it's still happening, and it's still presumably inspired by Curtis Sittenfeld's short story collection You Think It, I'll Say It. Title suggestion: Mac and Charlie Play Video Games Until Their Eyes Bleed. An intriguing cast includes Oscar winner F. Murray Abraham, David Hornsby, Charlotte Nicdao, Ashly Burch, Danny Pudi, Jessie Ennis, and Imani Hakim, along with McElhenny himself. It's coproduced by Ubisoft, so don't expect it to paint the video game industry in too negative a light. Title suggestion: High School Musical 4. Title suggestion: Twisted. The psychological thriller reportedly will star Lauren Ambrose, Toby Kebbell, and Ron Weasley (aka Rupert Grint). Not 100% official, but Apple's apparently close to ordering this adaptation of an Israeli series called Nevelot, with Gere set to star as a bitter old man who's got a lot of regrets and hates millennials. This one has yet to receive the official official go-ahead, but the rumors are that Apple's looking at a 10-episode deal.